Mr. Murphy received a B.S. in Mechanical and Aerospace Engineering in 1969 from the Illinois Institute of Technology. He received his J.D., with honors, in 1980 from DePaul University College of Law. In addition, Mr. Murphy has been admitted pro hac vice in 14 states. Edward J. Murphy is a partner of Lipe Lyons Murphy Nahrstadt & Pontikis Ltd., and a member of the firm's product liability, insurance coverage, and commercial litigation practice groups. He focuses his practice on product liability, aviation, insurance coverage/bad faith, fire losses and class action litigation practice groups. Mr. Murphy is "AV Preeminent" peer review rated by Martindale-Hubbell, reflecting the highest peer recognition for ethical standards and legal ability. Mr. Murphy has been selected by his peers for inclusion in Illinois Leading Lawyers Network (2008-2012 editions) and Illinois Super Lawyers (2010-2012 editions) for product liability. 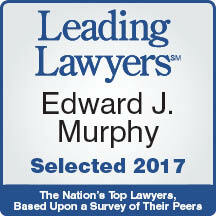 Mr. Murphy was also selected as among Chicago’s Top Rated Lawyers for 2014 in Commercial Litigation and Insurance Law. Mr. Murphy has more than 30 years of jury trial experience and has represented clients in hundreds of cases in state and federal courts throughout the United States. He has tried more than 35 jury trials to verdict. 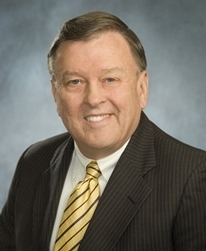 Mr. Murphy has represented corporate clients across a range of industries, including Bell Helicopter, Stanley-Black & Decker, Lycoming Engines, Textron, Inc., Fisher-Price, Mattel, Archer Daniels Midland, Triad Controls, LaBodega Ltd., GEICO Insurance Company and Global Indemnity Insurance Company. In the product liability area, he has defended manufacturers and distributors in personal injury and wrongful death claims involving aircraft engines, industrial and consumer power saws, toys, children's products, earth moving equipment, tractors, farm implements, forklift trucks, power presses and grass mowing equipment. He currently represents Lycoming Engines and Textron in a class action product liability lawsuit seeking more than $60 million in damages for the alleged defects in 5,000 reciprocating aircraft engines. Mr. Murphy has particular experience in wrongful death, personal injury and property damage litigation arising from fires and explosions. He has represented building owners, product manufacturers, installers of automatic fire protection systems and security companies in lawsuits related to a residential propane gas explosion on a Potawatomi Indian reservation, a fire in a high-rise office building in downtown Chicago, a fire at the Arlington Park Racetrack, and fires and explosions at many other industrial and warehouse properties. Mr. Murphy also has represented numerous defendants, including Archer Daniels Midland and TruGreen ChemLawn, in wrongful death and personal injury litigation arising from vehicular traffic accidents. Mr. Murphy is a life member of the National Rifle Association and the Illinois State Rifle Association and a member of the Second Amendment Foundation. "The Economic Loss Doctrine - An Impediment to Recovery in Y2K Lawsuits, Claims Magazine, November, 1999. "Illinois Robbery Statute Construed - The Introduction of a Specific Intent Element (People v. White), 27 DePaul Law Review, 837, 1978.